Commonly used motile or moveable cranes, which could be moved easily at construction site or roads to reach construction site are known as crane trucks or truck mounted cranes. 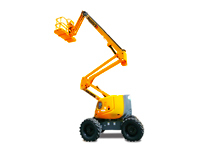 In crane trucks, conventional crane is mounted on a modified truck which serves as a carrier. Modern Japanese hydraulic truck cranes are usually single-engine machines, with the same engine powering the both undercarriage and the crane. Generally, these cranes are able to travel on highways, eliminating the need for special equipment to transport the crane unless weight or other size constrictions are in place such as local laws. When it comes about buying it, Japanese used truck cranes are cheapest option. 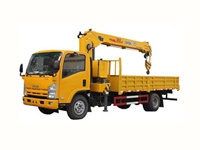 You can get a Japanese used truck crane in very economical price. Car junction provides you with an economical stock of fully equipped heavy machinery including Japanese used truck cranes. If you need to enquire further about cranes or any other heavy machinery so feel free to contact our online customer support representatives.